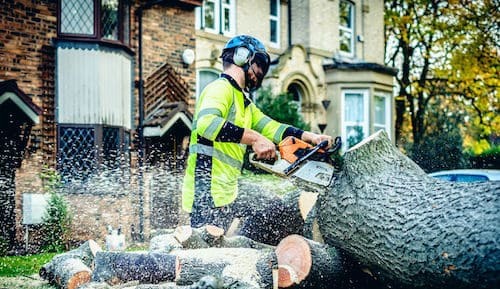 Elm House Tree Services – we are tree surgeons in Cheadle. We are reliable, friendly and competitive on price. We are tree surgeons in Cheadle with over 30 years experience. Andrew Hampson and his team offer a service that is reliable and of a high quality. We are a friendly company who offers knowledgeable advice and we are also fully insured and fully qualified to ensure that you get the best possible outcome for your job. We offer fast response times on all contact made – we will contact you as soon as possible. City & Guilds NPTC qualified. We always formulate a plan for your job and turn up with the right gear. We get jobs done quickly with no compromise on quality. We like to see a job well done, we are sure you do too. All waste is disposed in an environmentally friendly manner. We always put our best quote forward first & are open to price matching. Our high quality service has customers coming back again and again. Our Other Customers Liked Us – Take A Look..